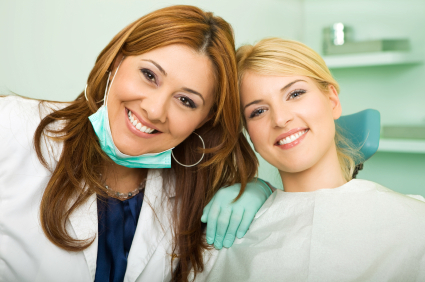 At North Star Family Smiles, our dentist provides teeth extraction services in San Antonio. While removing a tooth is often the last resort, extraction can be an important part of a treatment plan to restore comfort and function. If you’re wondering whether one or more teeth in your smile requires removal, contact our office today for your dental exam and treatment consultation. When Is Teeth Extraction Necessary? There are many situations where it’s best to remove a tooth to protect your oral health. These typically involve those that are severely damaged or weak, which increases the risk of compromising nearby teeth. Extraction is also common for third molars, which can emerge and move existing teeth out of alignment. Simple Tooth Removal – If a permanent tooth or a third molar has erupted completely through teeth and gums, but is not viable or cannot be restored with a crown, Dr. El Bjeirami can simply remove it, using his experience to provide efficient care. The treatment site is thoroughly numbed before the tooth is removed. Surgical Extraction – In instances where teeth have seriously decayed, surgical extraction is necessary. During this process, the tooth is split into small sections, allowing them to be carefully removed. Creating minor incisions into the soft tissue may sometimes be necessary to completely remove the portions of the damaged tooth. Before surgical tooth extraction, we can provide nitrous and/or oral conscious sedation to ensure your treatment is comfortable. If IV sedation is required, or if your oral health evaluation reveals impacted wisdom teeth, Dr. El Bjeirami refers you to a trusted specialist. We take each patient on a case-by-case basis to ensure their well-being for simple or complex tooth removal. While wisdom teeth do not require replacement, as your smile has evolved to function without these additional molars, it’s important to replace permanent teeth that have been removed due to trauma and decay. Leaving a gap in your smile can cause neighboring teeth to shift out of alignment and hamper your ability to bite and chew. To replace missing teeth, North Star Family Smiles offers dental bridges, full and partial dentures, or permanent implants. During your consultation for extraction, Dr. El Bjeirami reviews these options with you to determine which will meet your needs and preferences. If there is a decaying or significantly damaged tooth in your smile, it’s time to consider teeth extraction and replacement in San Antonio. We can also help if you, or even your children, have noticed the emergence of wisdom teeth behind your permanent molars. Contact North Star Family Smiles to learn more about your options.